It might have worked for the Alien franchise to have different directors take on the same plot structure, to extend the story beyond the original in an original way, but that has to be the exception to the rule. Scott did horror, Cameron did action, Fincher did dark introspection, all did it right in certain ways, although for my money Aliens is the superior film. My point is, that's a once in a lifetime accomplishment, making an entire series of films, not even including the newer ones, that all had different directors and all worked. Sicario might have been incredible, but to think that another, random filmmaker could simply make a different one is ludicrous, and then I swear it feels like they're going to make a third, which won't have a chance in hell at being good. Soldado didn't either, really, but it just avoided being dumb, coming in as watchable by a nose. The war on drugs and on terrorism doesn't ever really end, it just shifts, and the American government must constantly shift with it, or lose their tentative control. After a bombing in the heart of the Midwest, the US turns its eyes to the Southern border; apparently the men who blew themselves up crossed over from Mexico into Texas on their way to their evil deed. In order to shake things up and make the border naturally tighter, special operative Matt Graver is tasked with creating a team and starting a war between the drug lords of Latin America, keeping them busy fighting themselves so that America can catch its breath. His idea; kidnap the teenage daughter of the Cocaine King, who also dabbles in a new and lucrative industry, human transportation. But this plan has its weak points, especially when the Mexican government joins the fray, and all bets are off when you find yourself in a shootout in the dessert versus men with nothing to lose. 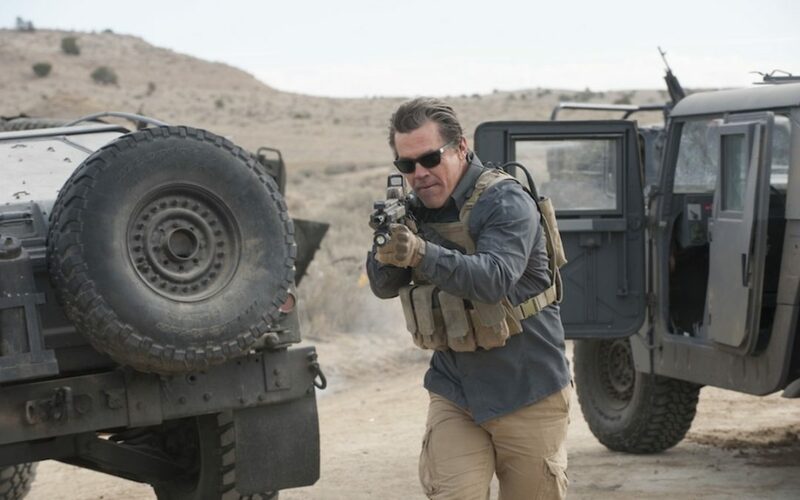 Sicario was stunning, from the action to the cinematography, with Emily Blunt as our vehicle through the chaos, our bulletproof Humvee. 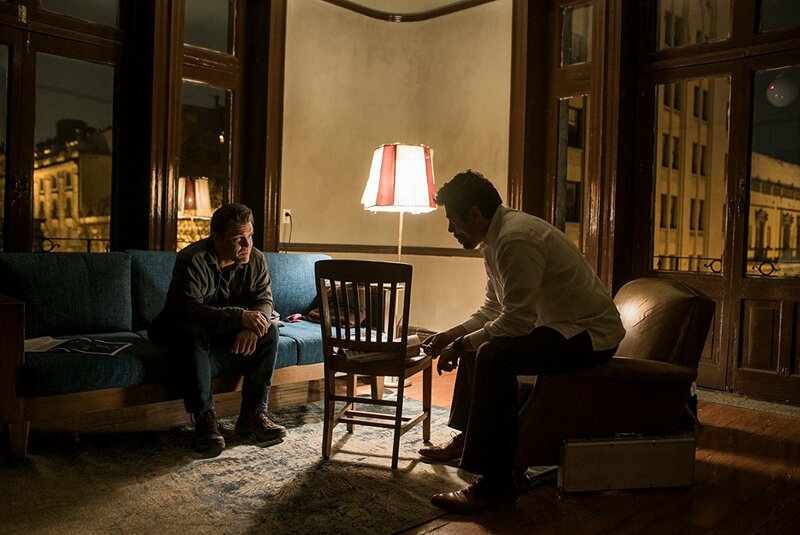 That was when we realized that Taylor Sheridan was a tremendous writer (Hell or High Water, Wind River) and that Dennis Villeneuve was a master (Arrival, Blade Runner 2049). But to think that they could replace Villeneuve with a relative unknown, that they could reproduce a few scenes, that they could bring back a few characters, that they could copy the music, that we would just fall on our knees and bow; please. I can't blame anyone for trying to make a quick and easy buck; this movie must have seemed guaranteed to make money. But I can fault filmmakers and companies who come up with nothing unique and expect us to fall in line because they recycled a title. That is something I will not do, and it's something I wish audiences would take a stand against more often. First, here's what I liked about the film, despite my negative, anarchist comments. I liked Brolin and Del Toro; they were almost as good as in the first episode. I enjoyed the action; it seemed duplicated but was solid nonetheless. The story was OK, the music was haunting, there were a few strong images throughout, I jumped a couple times, and I didn't mind the ending, when so often films simply collapse. But the picture wasn't perfect, that's for sure. Catherine Keener and Matthew Modine were absolutely horrendous in their small roles; Modine won't be a shocker, but Keener is talented, and I thought I might burst a blood vessel every time she spoke. The whole US Government set up was dumb, it made very little sense, and just felt slapped together. Also, the parallel plot on the other side of the border was far too similar to the first film, it wasn't inspired at all, a complete phone in. That sums up most of the movie, it was simply a minor effort from all involved because they knew their product couldn't possibly be as good, that they were only there to pick up the paycheck. The general quality of Soldado wasn't terrible, there were points to enjoy, it just should not have been made.